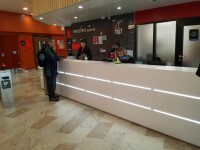 You are on Accessible Changing Rooms. Skip to the next section. 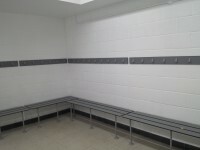 There are accessible changing rooms located within the main building on the ground and first floors. 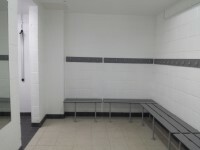 You are on Football Pitches Changing Room. Skip to the next section. 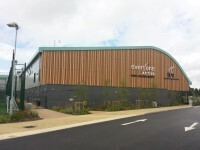 The football changing rooms are located outside the rear of the leisure centre. 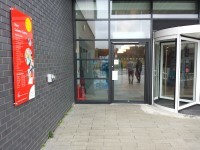 Both sets of doors open away from you (push) and have an opening width of 85cm. 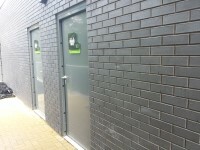 There are two accessible toilets located next to the changing rooms. 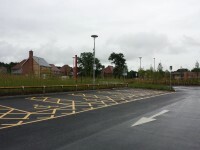 You are on Accessible Toilet(s) (Football Pitches). Skip to the next section. 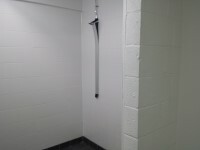 This accessible toilet is located next to the football changing rooms. 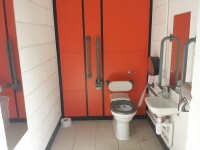 The dimensions of the accessible toilet are 153cm x 206cm (5ft x 6ft 9in). 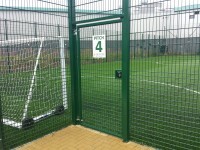 You are on Access to Football Pitches. Skip to the next section. 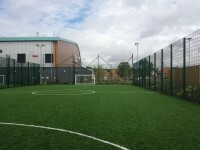 The football pitches are located at the rear of the leisure centre. 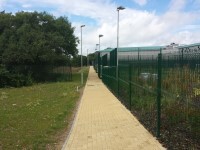 There is step free access from the leisure centre to the pitches. 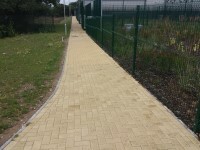 The surface of the path of is block paving. 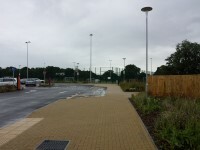 The entrance to the football pitches is located next to the standard car park. 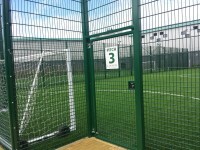 You are on 11-a-side Football Pitch. Skip to the next section. 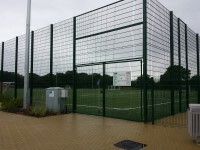 The 11-a-side football pitch is located to the left after you enter. 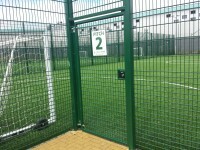 There is step free access to the pitch. 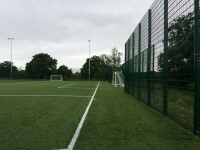 The surface of the pitch is artificial grass. 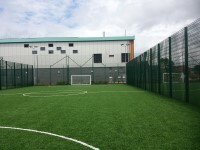 You are on 5-a-side Football Pitches. Skip to the next section. 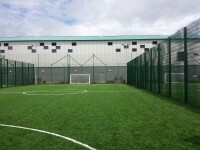 There are four 5-a-side football pitches. 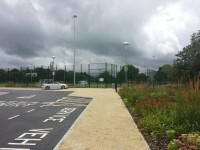 The pitches are located along the path leading to the changing rooms. 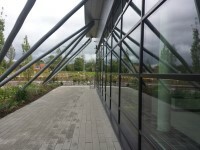 There is a slight slope along the path. 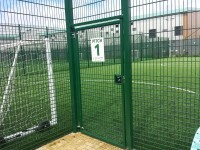 There are single width gates to access the pitches. 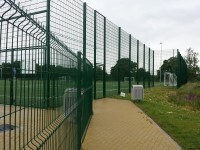 The width of the gate opening is 85cm. 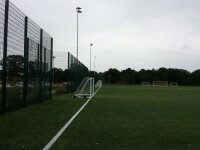 The surface of the pitches are artificial grass.